I was unpacking my bags yesterday, when I noticed a crystal I've been traveling with for some time. It's a small turquoise chrysocolla stone that has been polished into an egg. Anyway, when I was unpacking I noticed the side of the crystal was chipped. My first reaction was disappointment. I felt bad that I had inadvertently harmed the stone, by carelessly packing it in my luggage. But then I realized, there was nothing wrong it. Crystals, just like us are living beings. They too are experiencing shifts, transitions and changes just as we do. 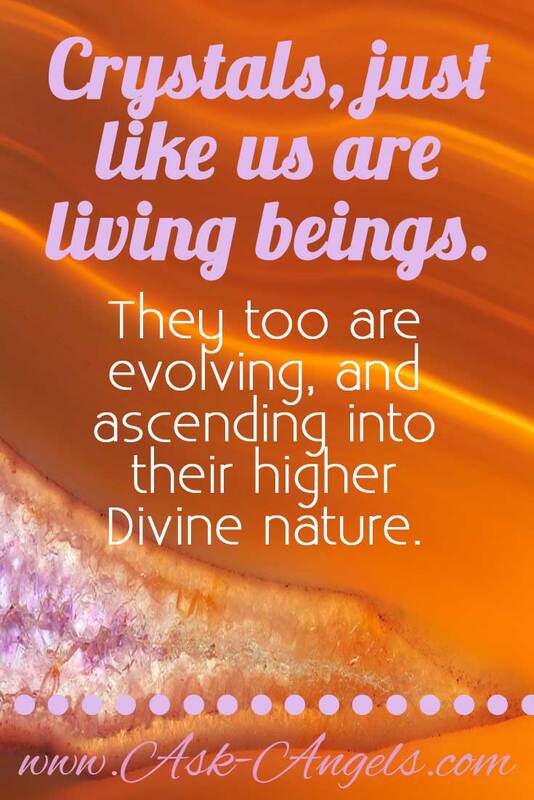 They too are evolving, and ascending into more of their higher divine nature. Instead of a bad thing, what if the little chip in the perfectly polished side of my chrysocolla egg was exactly what this stone needed to match it's inner evolving state. That's how I see it now. Chipping the side of my stone egg was not an accident, but rather a correction. A physical representation of it's changing inner nature. A sign that a little more of the crystals true authentic light is now being revealed from beneath the perfectly polished exterior. Do you see how this might relate to your life too? elease the old or let more light and love energy in your life? What in your life at first glance seems disappointing, devastating, or challenging? But with a shift in perspective is actually serving you in growing and letting more of your divine light shine through. The key of course is to listen to your inner guidance. And know that you are incredibly supported. And if you need help tuning into the vast support from your guides, angels and teachers in spirit. P.S. Ready for more? 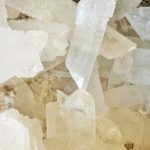 Learn more about Healing Crystals here. I had 2 crystals break within 6 months. One was an amethyst and when that broke I was wearing a rose quartz. Both broke in half while I wore them. I was wondering about the meaning since I wore them for positive energy. Wow, I can’t deny the timing of stumbling upon this post on my pinterest feed! I recently started seeing an intuitive life coach and have been having some major energetic breakthroughs during this time as well as developing a personal relationship with my Angels and guides. After my visit the other day, my coach gifted me with a small piece of selenite which I ended up rough handling a bit too much during the day, causing it to develop little micro cracks throughout the piece. I kept beating myself up because I should’ve known better, and I felt so guilty for damaging this lovely gift already. I am so relieved and encouraged reading this post! Tonight I will set the stone under the full moon glow knowing that these cracks will allow it to absorb all the healing light I need at this time. 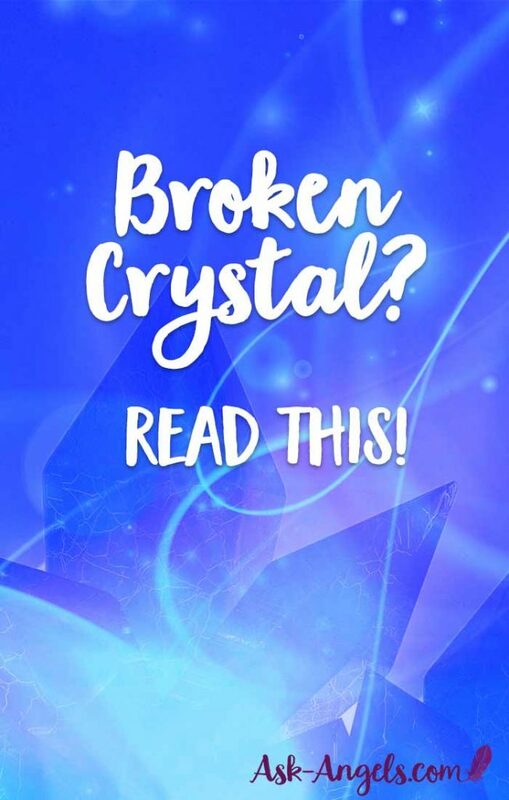 Hello Melanie, I was very interested in reading about your beliefs about crystals that crack, as I have had several experiences like this. the first one was when my Father was dying, I was holding an amethyst crystal whilst stroking his forehead, I felt I had to go outside to hold it up to the sun to re-energise it, this went on for two days, until I noticed it had completely cracked, my Dad passed an hour or so later. I received a phone call from a cousin later, who said she had a strange message to give to me, the message was “all is well the crystal has returned to the cluster. She had NO idea what the message meant, I did, as I was driving back from the hospital, I had the urge to turn the radio on, it was playing ” On the wings of a dove. recently I lost my beloved son, His wedding band had been stolen from his body, a few weeks later the person who took it returned it to me. I had a very powerful clear quartz crystal and put the ring on it, I recently put it out into the garden for cleansing in a pot of rosemary when I went to bring it in, I found it had disappeared. I hope that means my boy is now at peace with the angels. The song I got, when we scattered his ashes, Blowing in the wind. As you know sometimes it’s not easy being a medium, as we often pick up on others thoughts and vibes. I imagine whenever I am having a shower that it is a waterfall of pure loving light, that is my cleansing ritual. Thank you so much for your wonderful website, May abundant loving grace and blessings be with you always. I have an unusual question, but I’ve really never had this happen to me before and so I’m kind of paranoid now. Anyway, someone in my neighborhood keeps breaking into my house and SOMETIMES she will take some of my crystals and hammer them to almost powder, and then other crystals like my rubies, rose quartz, sapphires, etc… she’ll carve her initials ALL OVER THEM. It’s irritating me and all the cops say is they can’t do anything until someone actually catches her. My question is this – since she’s putting her initials all over my crystals, COULD THAT cause harmful things to happen to me? I ask because this woman’s hatred toward me is DEEP, and the most messed up thing is, I’ve NEVER done anything to her. One of my other neighbors said that she’s just jealous of mine and my husband’s relationship and our happy family! But I have to tell ya, I’m paranoid about keeping crystals that she’s carved her initials all over. What CAN I do? Any suggestions? Please take steps to physically and psychically protect yourself and your home! You are safe… But energetically this is weighing on you. Also, make sure you cleanse your crystals! In this extreme case, if it does not feel good to have them in your home anymore you may choose to bury them in the earth as a way to recharge them and return them to Gaia. Check out my posts on psychic protection with Archangel Michael, along with cord cutting… In addition to taking steps in the 3D word to secure your property.